Perhaps one of music production’s most challenging tools, the compressor is notoriously confusing for even the most experienced producer. This complete video course uses practical examples to show you both the corrective and creative power of the compressor and gives you professional insights you can start using today. If you’re serious about sound design and music production, then compression is a critical skill to master. Broken into 5 key modules, The Compression Masterclass is the essential resource on compression for electronic music producers. 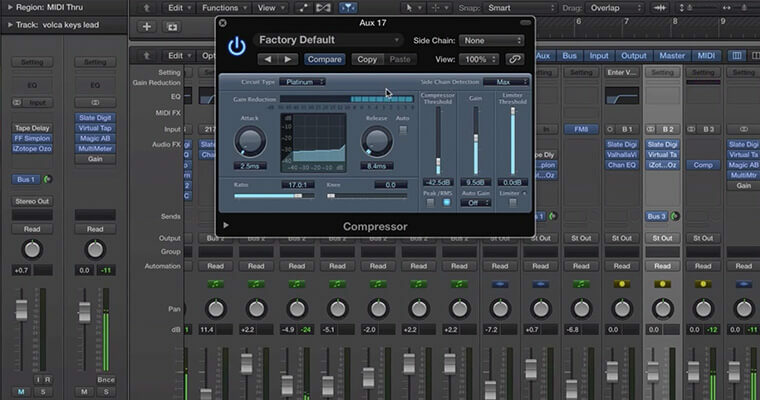 Primarily demonstrating using Logic’s compressor, the skills learned are applicable to any standard compressor you may be using. In video 1 we discuss the concept of compression and introduce you to the standard features and functions of a compressor. Gain a solid working knowledge of the fundamentals of compression including dynamic range, the gain reduction meter, compressor threshold, ratio, attack, release, knee, and make up gain. Expand your knowledge in videos 2 and 3 by understanding the different types of compressors and more importantly, what they’re for. 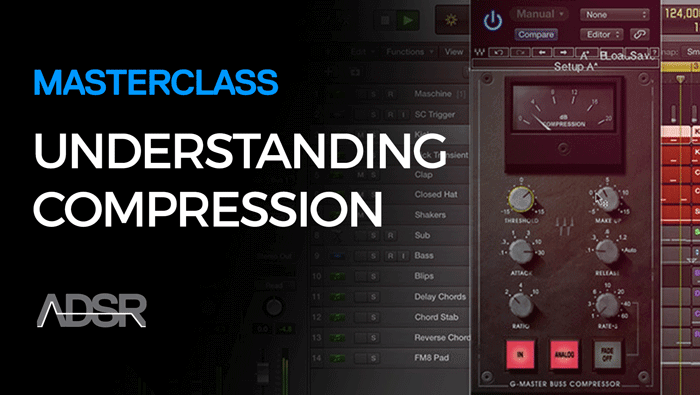 With plenty of examples for you to hear and experiment with, this module gives you a strong grasp of how to use compression correctively. By the end of this module you will be able to use snap compression, bus/group compression and serial compression to help your sounds sound punchier, gel more cohesively and gain better control over your mix. 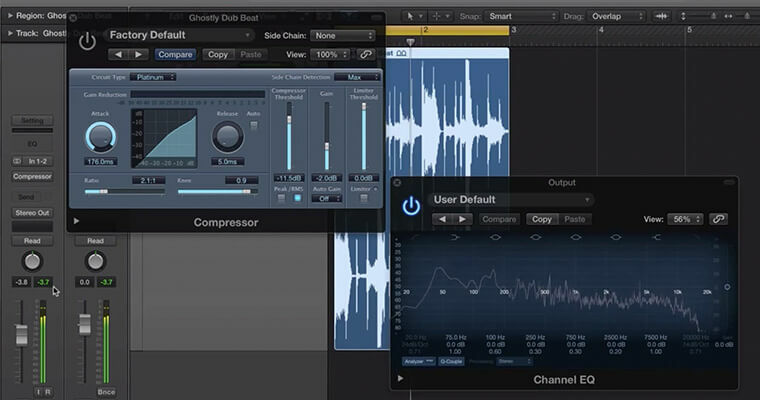 Delve deeper into the creative side of compression as you master parallel compression and transient shaping tools. In video’s 4 and 5 you will learn how to use these compression techniques to accentuate low level sounds and transients. 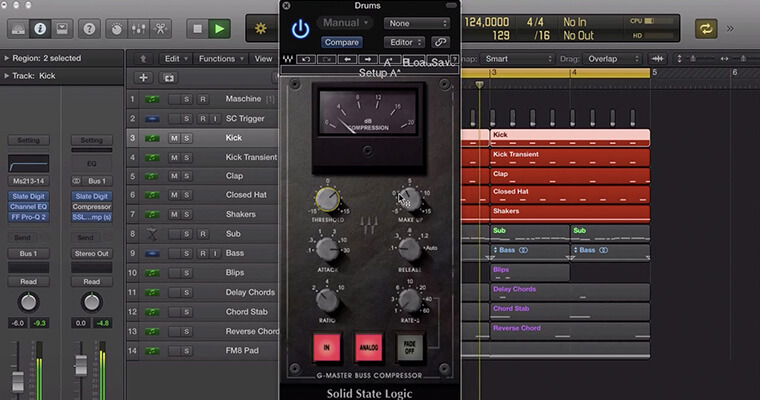 If you want to know how professionals use compression to increase punch on drums and drum tails and make leads and vocals sound richer, you won’t want to miss this! 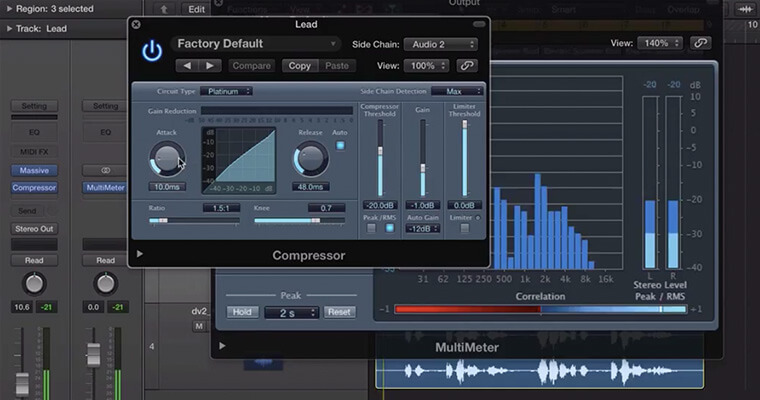 Video 6 and 7 offer an expert guide on side chain compression. Starting with an introduction to the concepts of side chain compression you’ll go on to learn everything from the practical applications to the creative uses of side chain compression, again with plenty of examples you can start using straight away. This module shows you exactly how to free up space in your mix and prevent sounds from fighting in certain frequencies as well as how to work with high frequencies and vocals. Further develop your creative understanding of compression in the final video of the series on analogue compression. Get introduced to a range of different analogue compressors that can add warmth and character to your sounds, lifting them far beyond the ordinary. In this course you will learn how to approach compression both in general and in relation to specific sounds. Featuring 8 comprehensive videos, ADSR’s Masterclass in Compression for Electronic Music Producers explains both the theory and practice of compression and covers everything from the basic features of a compressor to more advanced compression techniques. With his informative and approachable manner, experienced English producer, Jonny Strinati, takes the confusion out of complex concepts. Drawing on years of experience as both producer and tutor he’s able to explain using appropriate examples and insights that give you both a genuine understanding of compression and actionable production skills.